I've referred them many times. Henry knows exactly what he's doing, his team is very good, and I trust them to do whatever I need done. They get it right the first time and they don't overcharge. I text Henry and things just get done. All I have to do is just pay the bill. They do a great job, and they are great people to work with as well. I felt they were very knowledgeable and nice people. They answered all my questions. They worked with my schedule. They made it a very hassle free and easy experience. I'd tell people to use them. I used them because they are Diamond Certified. He told me what I needed. He did what he said he was going to do, he did it when he said he was going to do it, and charged me what he said he was going to charge me. 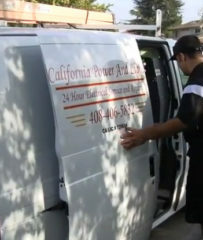 California Power and Light is a full-service electrical contracting firm that serves residential, commercial and industrial clients throughout Santa Clara County. The family-owned and operated company handles electrical projects of every size, from smaller jobs like fixture replacements, telephone wiring and general troubleshooting to larger jobs like lighting retrofits, exterior and interior landscape lighting installations, and tenant improvements. 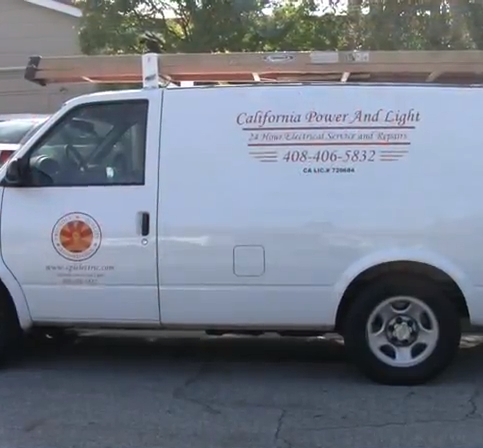 California Power and Light sends a well-stocked work vehicle to each jobsite. 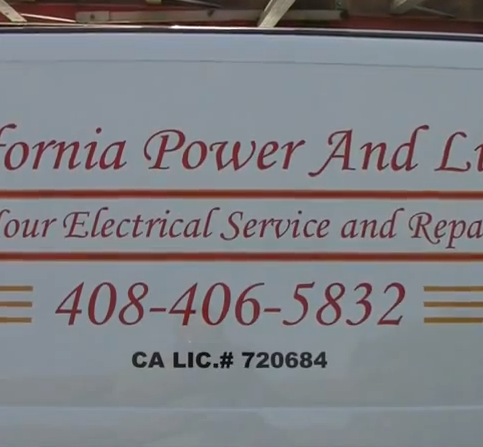 California Power and Light has been providing complete electrical contracting services for residential, commercial and industrial clients throughout Santa Clara County since 1996. The family-owned and operated company handles projects of every size, from smaller jobs like telephone wiring, fixture replacements and general troubleshooting to larger jobs like lighting retrofits, tenant improvements, and exterior and interior landscape lighting installations. • Reset your circuit breakers to verify the problem isn’t in your home’s electrical system. If your house appears to be the only one on the block that lacks power, check for and reset any tripped circuit breakers. If the breaker immediately trips again, call an electrician right away—this can be a sign of a larger and potentially dangerous problem. • Turn off all light switches and major appliances (computers, televisions, air conditioning units, heaters, dishwashers, washing machines). In addition to protecting appliances from damage caused by power fluctuations and surges, this will help keep your circuits from overloading when the power comes back. • Keep your refrigerator door closed to maintain its interior temperature and keep food from spoiling. Frozen food can stay frozen for up to 48 hours if the door is closed, and refrigerated food will stay cold for 24 to 48 hours. • Once the power returns, wait a few minutes and then turn on lights and appliances one at a time. Downed power lines, electrical fires, sparking appliances and the smell of smoke or gas should be considered an emergency. In these cases, avoid the power source and call 911, the fire department or an emergency electrician from a safe location. • If you find a household appliance that’s smoking or sparking, unplug it by its cord. Don’t use the appliance or its electrical outlet again until you have a professional electrician determine the specific problem. If an appliance catches fire, get out of the house and call the fire department. Never use water on an electrical fire—only use a dry chemical fire extinguisher or baking soda. • If you notice a wall outlet is hot or you see smoke coming from your circuit breaker, immediately leave your home and call an emergency electrician. This can be a sign of an electrical fire and pose a dangerous situation if you become trapped in the house. Q: How soon can you start my electrical project? A: We offer emergency services, so we can often be at your house within the hour. For non-emergency electrical work, we offer many scheduling options to best accommodate your weekly routine. Q: How long will the work take to complete? A: That depends on the extent of the job. Once we determine how much work we need to do, we’ll give you a specific time estimate. Q: Who will actually work on my project? A: Our owner, Henry Acosta, likes doing a lot of the work himself, so he’s on the jobsite most of the time and closely involved with every project. Q: Will you pull all the necessary permits? A: Yes, we can do that for you. Some people like to pull their own permits, so we offer that option as well. Q: How do I know if I need a panel upgrade? A: One of the biggest telltale signs is if your lights flicker when you turn on an electrical appliance. Another is if your breaker constantly shorts out. Essentially, if there isn’t enough power to support your electrical system, you need an upgrade. We can upgrade your fuses and breaker to increase your power capacity. 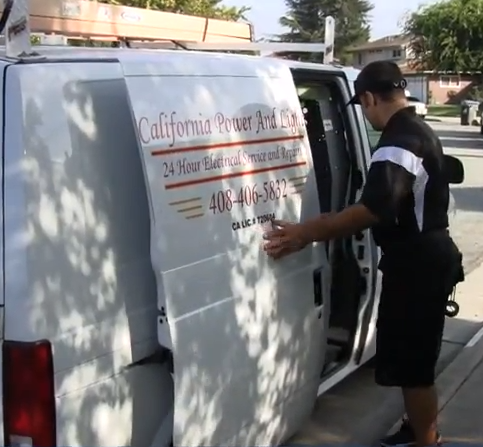 California Power and Light’s technicians provide personalized service. 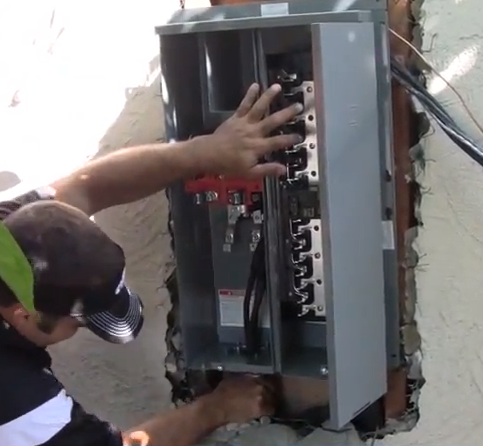 A California Power and Light technician replaces a customer’s electrical panel. Henry Acosta is a 23-year veteran of the electrical industry and owner of California Power and Light, a Diamond Certified company since 2012. He can be reached at (408) 624-8712 or by email. A: Ladera Grill in Morgan Hill. A: Chess pieces. I have pieces from all over the world, including Russia, England, Greece, Mexico and Vietnam. While any outdated electrical panel can be problematic (most are inadequate to provide for modern power needs), there are three names in particular you don’t want to see on yours: Zinsco, Federal Pacific and Challenger. While each of these brands is from a different time period, all three have lost their UL listings and are known to represent fire safety hazards. One common issue with these panels is that the breakers can fail to detect short or overloaded circuits, which leaves wires susceptible to overheating. Due to the dangers posed by a malfunctioning electrical panel, it’s crucial to know what’s in your breaker box. 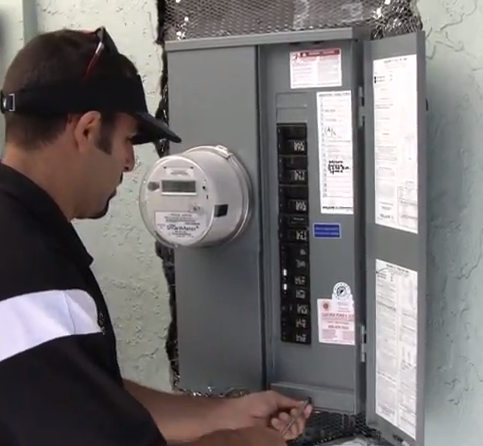 Take a look inside, or better yet, have a professional electrician perform a safety inspection. If it turns out you have one of the aforementioned panels, plan to have it upgraded to a modern, UL-listed product that will ensure safety in your home. Diamond Certified Expert Contributor, Henry Acosta: So, we recommend if your home was built before the 80s, before the 70s – . So, if you have a home 1950s, 1960s, 1970s, a lot of times the panels that were installed in these times were Zinscos, Federal Pacific. And then the newer ones in the 70s, 80s were Challenger. These particular panels are definitely something to be concerned about. You should have a technician look at them. If you do have any of these panels, we recommend to upgrade them. The reason being is some of these panels, the breakers don’t detect when you’re having an issue in your home. When you’re wiring, let’s say, an overload or a short circuit. If these breakers don’t detect a problem, what can happen is your wires can overheat and that can lead to a fire. So, we definitely recommend if you have an older home, or sometimes even a newer home, if you smell any burning, or if you continuously trip a breaker, we recommend for you to have us come out and take a look at it, evaluate the panel. And if you have one of these panels, we’re definitely going to recommend for you to upgrade. When we upgrade, we use Square D. That’s usually the best brand out there. And these Square D brands will detect your problems and could definitely be helpful to not having a fire in your house. California Power and Light : Average 9.6 out of 10 based on 93 unique customer surveys of customer satisfaction. He is very quick to respond and very knowledgeable. He takes the time to explain everything to me and he prepared and he went to the city to get the permit. I didn't have to worry about anything. He knew the process. They were casual and they did what they said they were going to do and they were on time. He seemed to know what he was doing and he was prompt. They are knowledgeable, professional, reliable, and fairly priced. They did just excellent work and he was very honest, which I think is important. They were efficient and they got the job done and they responded rapidly. It was good work. I would say that they did good quality work, they were articulate in what the job was going to include, and they were pleasant to work with. They were pleasant to work with and they did a good job. They did what we needed them to do. They did the job to my satisfaction and I haven't had a problem with what they did. Very helpful, and they are willing to work with you and they help you accomplish your goal. I can call him anytime with any questions related to electricity or electrical work. They are very helpful in pointing out the most cost effective way to get the job done. The service was pretty quick and they also offered suggestions for ideas that I had, they had better ideas. They were on time, they did a really nice job, and the price was right. Everything has worked fine since. He was pretty efficient, I would say. They are good and qualified, but they are a bit on the expensive side. I didn't have a problem with the quality of the work, but I was able to find a lower cost electrician. They seem to be pricing themselves at a premium of about 40%. They were talented and responsive. He does good work, very professional. They are right on it, no handling time inbetween. Henry is very good at what he does and he is knowledgeable and honest about what the costs are going to be. He also lays out various positions in a clear way so you are able to choose what is best for you.